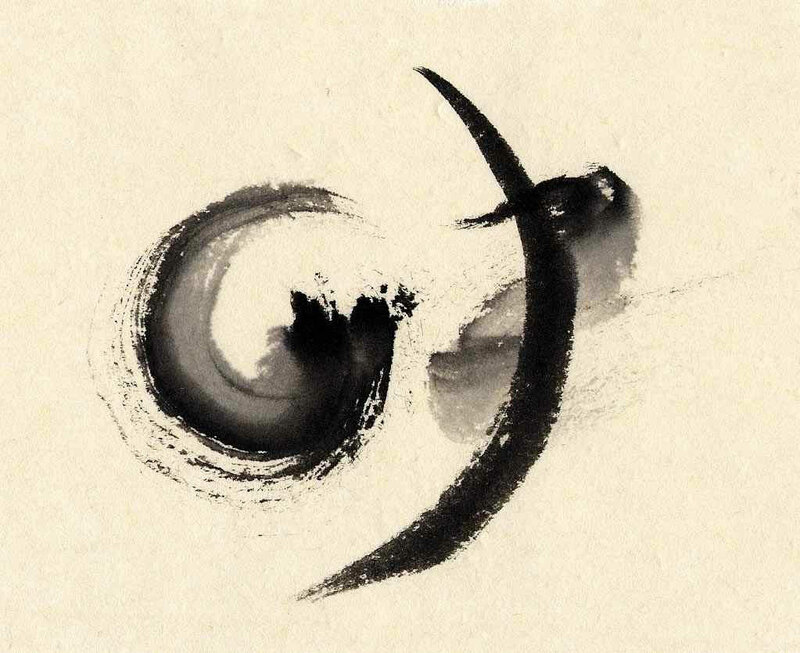 She draws yoga poses with ink(墨) and brush (筆). She is a yogini and learning suiboku-ga. The solo exhibition at SHOZO CAFFEE Tonari Gallery in Nasushiobara ended in a great success. Her art works are in Asia Creative Art Exhibition 2018 at the National Art Center, Tokyo. She hold her exhibition "間・ま・Ma" with a calligrapher, Tohko Iwama at Seietsudo in Ginza, Tokyo. She hold her exhibition "Breath-n-Brush 16h28" at Ouchi Gallery in NYC. She hold her first art exhibition "Breath-n-Brush" at Café & GalerÍa PARADA in Kichijoji, Tokyo. The encounter with Kakou Imagawa was 2012. Thereafter, I learn Calligraphy and Hanging Scroll/Folding Screen Art under her. She drew illustrations for “Yoga Heart” by her yoga instructor, her friend, and a great author Leza Lowitz. She began yoga at Sun & Moon Yoga and became a dedicated student. After taking a wide range of classes and workshops there, she realized her own physical and mental transformation. 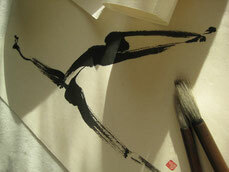 She discovered the suiboku-ga (ink drawings) of Tohun Kobayashi and started drawing under his instruction. The creativity of suiboku-ga inspires her very much. She is an Instructor of Japanese language and offering private lessons for foreign businesspeople and their families in Tokyo. For her, these lessons are very important and a constant reminder to respect the Japanese culture. She can be reached online through Facebook (Ake no Ihori) .